New draft guidelines on wind power procurement released by Ministry of New and Renewable Energy, give some respite to wind developers, who have suffered revenue losses due to unavailability of grid and payment delays from distribution companies. 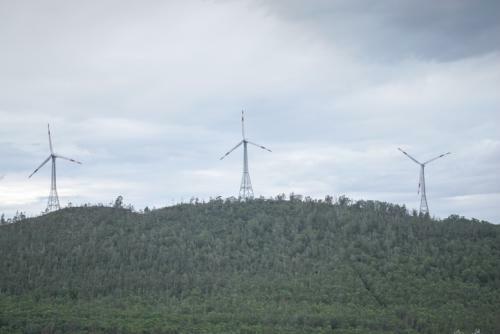 The guidelines have introduced a payment security mechanism that guarantees a partial compensation to wind power developers even if power is not transmitted to the grid. These improvements in regulations and guidelines are step in the right direction especially if the government plans to eliminate the generation-based incentives for the wind sector. The guidelines were released on April 7 and seek comments and suggestions by April 21. The development follows the successful wind power auctions conducted by Solar Energy Corporation of India for installing 1,000 MW of wind power. These auctions saw a drop in wind tariff (feed-in tariff set earlier set by state electricity regulatory commissions) from around Rs 4-5.5 per unit to record low of Rs 3.46 per unit of power generated. Wind is the largest source of India's renewable energy, contributing 57 per cent of all enegry from renewable sources. 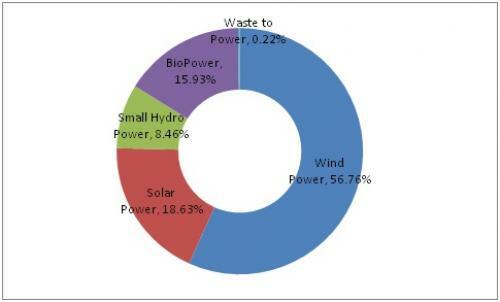 As of February 28, India’s installed capacity of wind power was 29,151 mega-watts (MW). But poor transmission and evacuation mire the progress of wind energy sector. For instance, Tamil Nadu has more than 10,000 MW of wind installation, but developers there are unable to sell their power, due to congestion and shortage of evacuation facilities. The grid usually is unavailable when the wind power plants generate electricity and therefore, remains unutilised. This becomes a problem for wind developers, who only get paid when the generated power is fed into the grid. The unavailability of the grid means loss of revenue. The tariff rules for thermal power are different from wind power. Thermal power plants have two-part-revenue—fixed and variable. If a thermal power plant is asked not to feed generated power to the grid, it will be compensated the fixed part of the tariff. Wind plants do not receive this, since there is no cost of fuel and there is no fixed part tariff. Distribution companies or discoms, which source electricity from developers and supply it to consumers, have been deferring payments for electricity generators. Delay of six to eight months has become the norm in making payments. As per a news report from July 2016 that quotes a wind industry executive, there is total backlog of around Rs 5,000 crores in payments from distribution companies in Tamil Nadu, Maharashtra, Madhya Pradesh, Rajasthan, Gujarat, Karnataka and Andhra Pradesh. Part of the reason for delayed payments is the lowering solar tariffs. Discoms do not want to pay Rs 5 for one unit of electricity when solar costs close to Rs 3 per unit. As a result, Rajasthan, Gujarat, Madhya Pradesh and Maharashtra have stopped signing new power purchase agreements (PPA) for wind projects. What do the draft guidelines entail? As per the payment security mechanism, if the power is being sold directly to discoms, payment gaurantee must be given through a Revolving Letter of Credit. This ensures payment of at least a month’s average billing and a security fund to support payment for at least three months’ billing for all projects. In addition, discoms can choose to provide a State Government Guarantee that will be legally enforceable for additional protection. Similar payment security will also be given in case an intermediary is involved which procures power from the developer and sells it to the discoms, as per the draft guidelines. The guidelines also specify the compensation for wind power developers in case of grid unavailability or back-down of the grid. It also asks for rules to be specified in the PPA. In case of grid unavailability, the developer will be compensated for the generation loss based on the average generation and hours of unavailability. In case of back down, 50 per cent of the payment will be made again, based on average generation and hours of unavailability. The new guidelines solve a lot of issues troubling the sector. The bidding process ensures that the tariff to be paid by the state discoms is competitive, compared to the feed-in tariff being paid and to solar tariffs that have reduced to just Rs 3.15 per unit. The payment security clause provides appeasement to the developers that there will be no delay in payment, and if there is alternate compensation will be given. In case of back-downs or grid unavailability, there will be partial compensation, so less revenue losses.